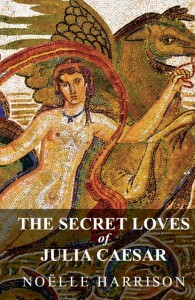 A rare opportunity to buy a special signed first edition of my novel The Secret Loves of Julia Caesar. Only 200 of the illustrated hardback editions are being produced. Rome; and further perhaps, to your own heart and fantasies? Avoid disappointment and order your numbered and signed first edition today by going to my Books page and The Secret Loves of Julia Caesar. A very special Christmas present for a loved one, or keep it for yourself!